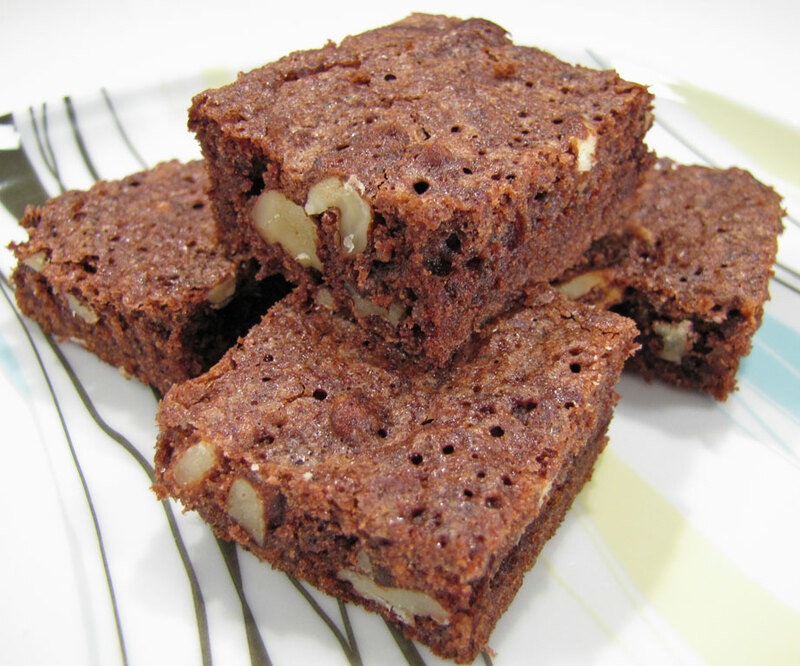 Brownies basically just is another variation of a pound cake. It has a bit more sugar. Some of the flour replaced with nuts, it has a bit less baking powder and added cocoa. But these small changes are enough to make the brownie a cake of its own. It is dense and heavy, more confetionery than cake. Sweet and strong. Lovely! Heat the oven to 170°C (314°F). Mit the wet and dry ingredient in the larger bowl. Put the dough into a large roasting pan. The dough should be about. 1-2 cm (½-1 inch) in height before baking. Bake for 20-30 minutes at 170°C (314°F.. Depending on the height of the dough. A thicker layer of dough needs to bake for longer. If you are in doubt you can just use a meat pin or a knitting needle to test if it is enough. Some like their brownies a bit thicker. That makes them softer, and more chewy in the center. If that is the case for you, you should just use a smaller baking pan and bake for a bit shorter.